The bike tour was so awesome and included many stops where he pointed out interesting facts. 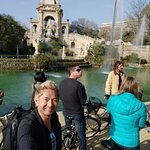 We went on Sunday March 24 and being our second day in Barcelona the bike tour helped us better understand the layout of the city and it’s many important landmarks. Our guide was extremely knowledgable in the history of the city and answered our questions confidently. He also made the bike tour fun and safe and at the end he was happy to recommend restaurants and places to go. We would highly recommend this tour. The tour was recommended by a frnd of mine and it was well worth it. We were met by Nora our guide, who came to Barcelona for 3 days and has been here 3 years later. She was friendly helpful and made the bike tour fun and informative. 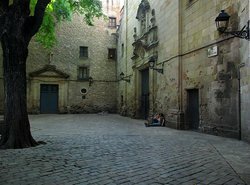 Her knowledge of Barcelona was amazing and very helpful. She insured that the group stayed together and was safe. Definitely recommend this tour if u love to ride a bike. I enjoyed the bike tour, the weather was good. I think the guide should have a sign specifying the tour instead of us standing there trying to figure out who it might be. Chris was nice, although his voice was too quiet and I had to be very close to hear him. Also his history sounded a bit rehearsed like he was going through the motions. Also we didn’t get to bike to sagrada familia and that was disappointing. 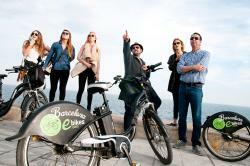 I wish I did the bike tour with sandemans but this one had the best time frame for us. 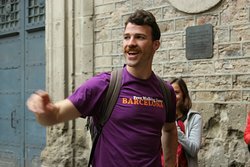 Chris was our guide for the tour and he was very passionate about Barcelona, exactly the kind of person you want to take you around the city! The tour was really interesting (if a little hard to hear over the surrounding noises) and had lots of stories to tell about the sites that we visited. Unfortunately we got caught in the rain at the end but it was still an enjoyable tour and I would certainly recommend it. 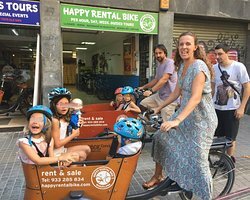 This is a great way to see Barcelona. Chris was our guide and was very informative and friendly although sometimes above the traffic noice it can be a bit difficult to hear what he's saying. 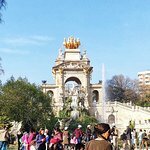 Whether you are new to Barcelona or have been many times, this tour will show you new and interesting places. 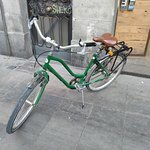 Barcelona is so easy to cycle around, plenty of cycle lanes away from motorised traffic and pretty flat. 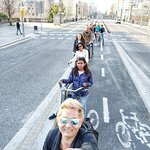 I had an awesome time doing the Free bike tour. 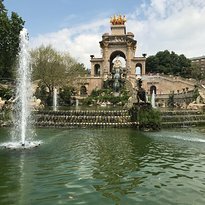 - Chris our guide is a really cool easy going guy who is passionate about Barcelona and has a good knowledge and history of the place, you'll learn some fascinating facts and figures about Barcelona!